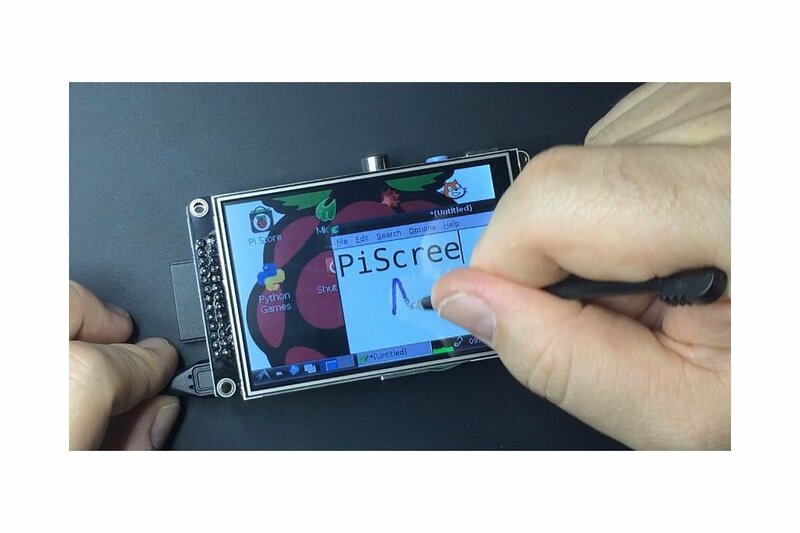 PiScreen is a 3.5" TFT (480x320) with touchscreen control for the Raspberry Pi. Never need a monitor again! 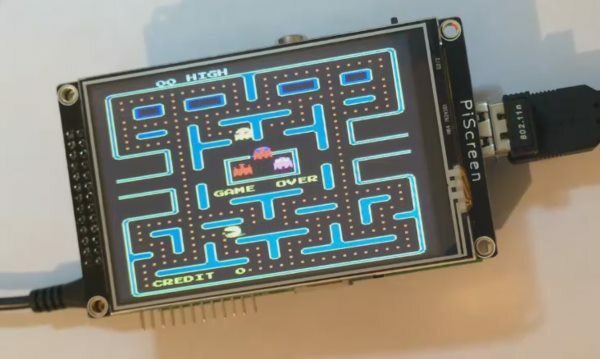 PiScreen is a TFT(480x320) with touchscreen control for the Raspberry Pi. Never need a monitor again! 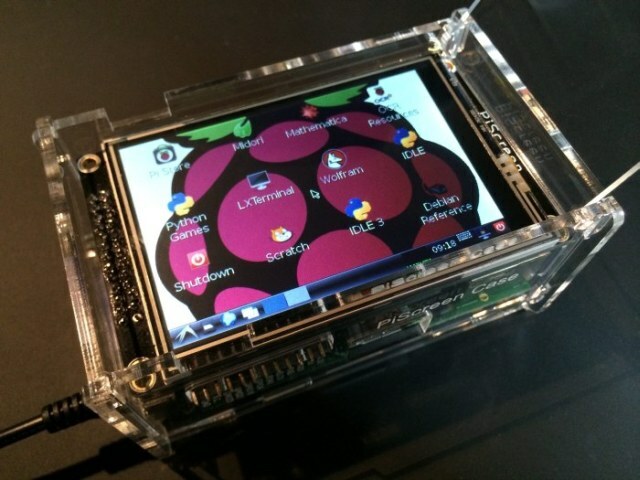 Works with Raspberry Pi A, B, B+, Pi 2 and Pi 3. 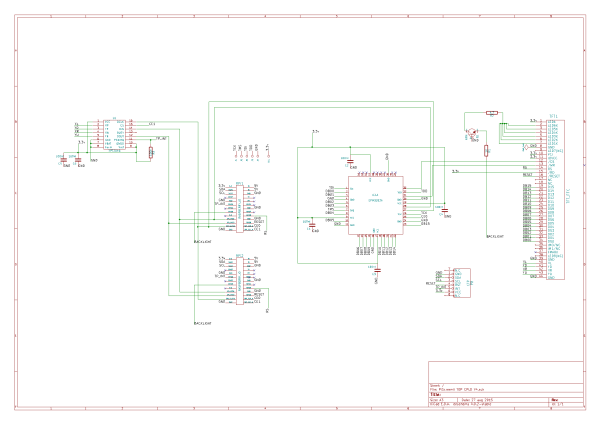 This is a fully assembled PiScreen, which also includes a ribbon cable and PCB standoffs to give PiScreen extra support. 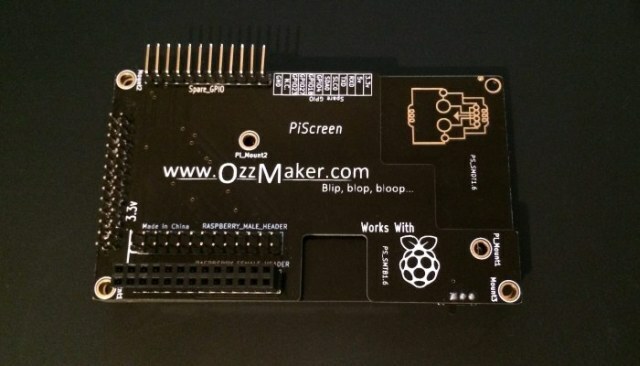 PiScreen connects right on top of the Raspberry Pi GPIO pins or via a ribbon cable. 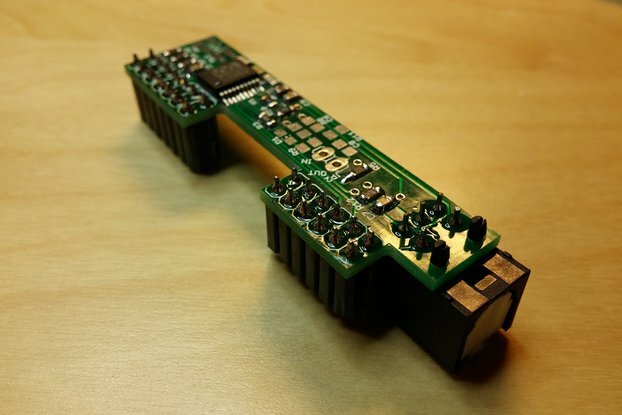 8 GPIO pins are unused and made available elsewhere on PiScreen. A switch is also included to control the backlight. The backlight can also be controlled within software. We no longer sell the above two cases. Install instructions are good if you are not a novice with linux, however, one line could be added (in section 4) which would clear up a confusing setup. On the "Enable X Windows On PiScreen" page there should be a line requiring people to use chmod on the "xinput_calibrator_pointercal.sh", which is downloaded, to include execution. If this is not done you will be stuck at a login screen until you fix it. One other suggestion would be to indicate that the "Force X windows to Load to PiScreen Automatically on boot" is not needed for Debian Jessie installations. inittab does not even exist or used in that installation. Thank for the great display! We have updated the instructions with your suggestions and included details around the Jessie image. This product performed remarkably well, the touchscreen is very responsive and the screen is fast and vibrant. I'm happy to report this screen was easy to setup with the notro codebase installed with the Raspberry Pi kernel. A one line option inside config.txt (dtoverlay=piscreen2r) and the screen worked flawlessly. 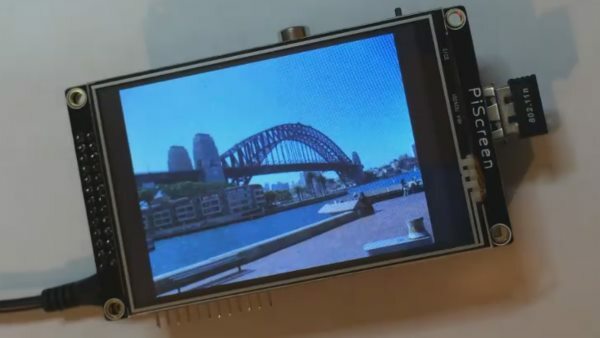 Communication was also excellent, less than 1 day response for a question regarding the SPI configuration of the screen. Included with the screen was also a stylus, 2 plastic supports, cool looking circuit board and a sticker. 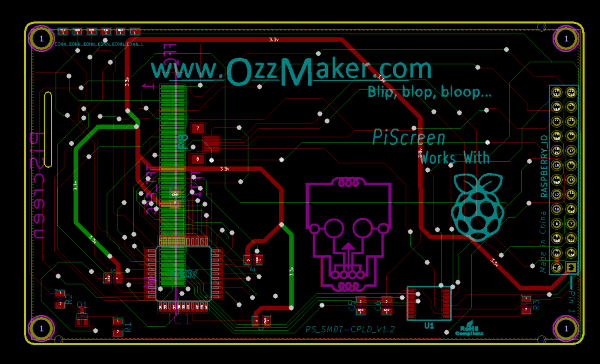 Overall I'm very happy with this screen and if I need another screen in the future I'll probably get it from OzzMaker. 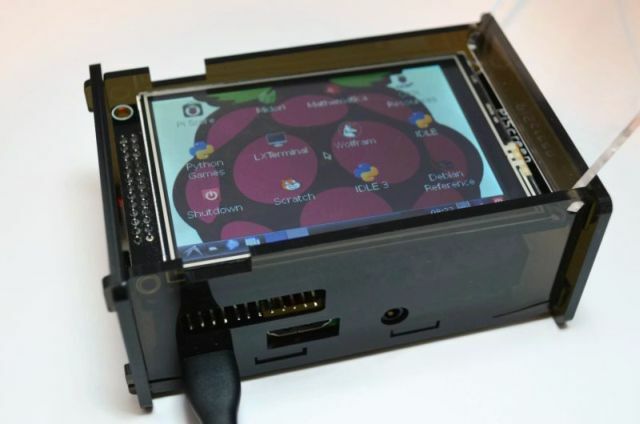 Perfect for anyone with a Raspberry pi. This product couldn't be better for the price. 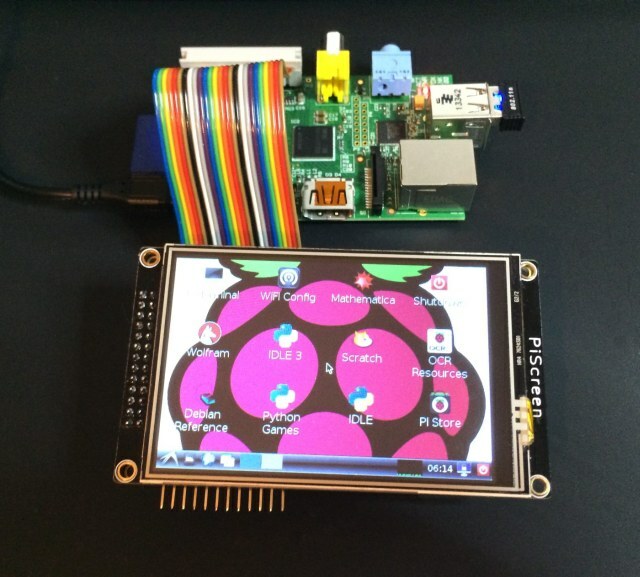 The touchscreen works very well and, combined with a battery, it turns my Raspberry Pi into a great handheld retro gaming device. Questions were answered within a few hours and delivery from Australia to the UK only took 7 days. Excellent product from an excellent company. I would definitely buy from them again in the future. Once I went to the website to get setup information took a few hour to get it up and running. 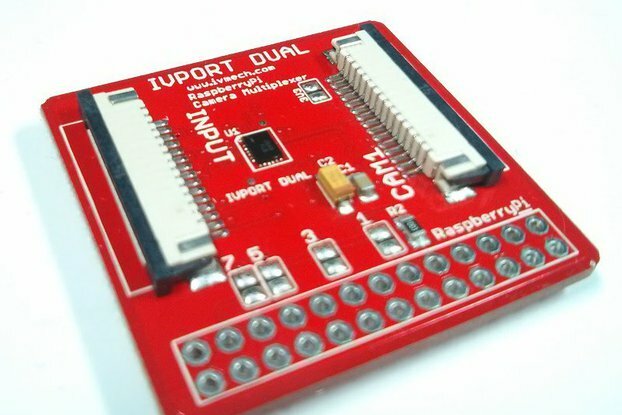 A good product at a great price, a must try for any Pi users. The piscreen works great. the screen size is just right. only concern was getting the software to drive the screen. had to poke around a lot to find the correct software. 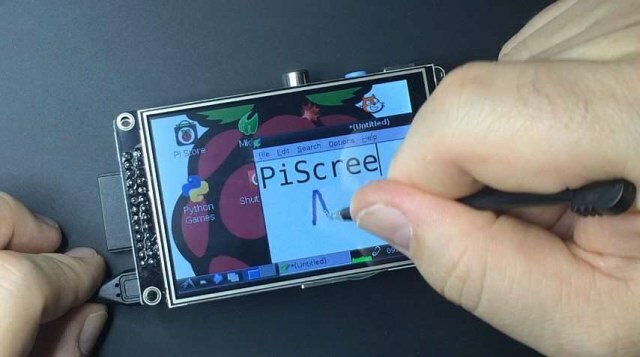 The PiScreen works well, so does the touch side of things. 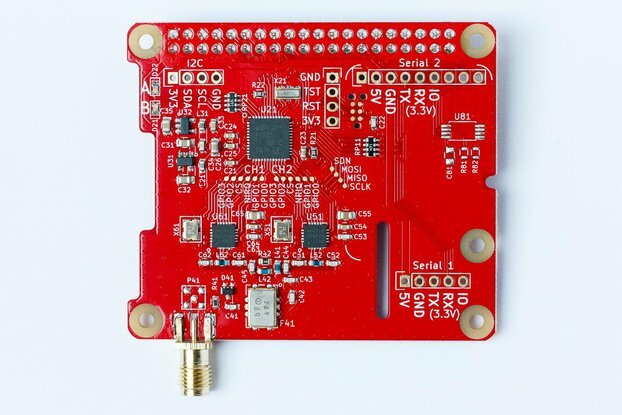 I missed out on supporting this via the Kickstarter campaign as I found it too late, I then put my order in for the PiScreen via Tindie. The PiScreen works well, so does the touch side of things without taxing the CPU very much at all. The touch screen is responsive as well. Since taking delivery and installing the PiScreen I purchased the PiScreen case from http://ozzmaker.com/product/piscreen-case-raspberry-pi/ to keep it protected and all together.